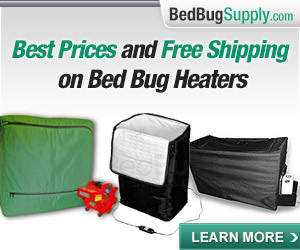 Cheap and cheerful bed bug monitors! 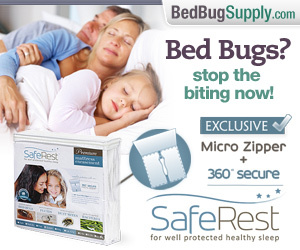 Where else but Bedbugger.com do you see the phrase “cheap and cheerful” and “bed bug monitors” in the same sentence? Okay, we’re not Apartment Therapy, but we know a good thing when we see it. 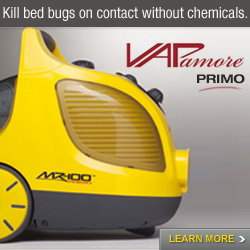 Bed bug monitors are a very good thing. They come in three types: active, interceptor (pitfall), and passive. Passive and interceptor bed bug monitors just sit there and wait for bed bugs to happen upon them. They come in different designs, which serve different purposes. The ones which have been utilized by a good number of bedbuggers as of this writing are ClimbUp Interceptors and David Cain’s Packtite Passive Monitors/BBAlert Passive Monitors. Read more about Packtite Passive Monitors/BBAlert Passive Monitors or ClimbUp Insect Interceptors and Blackout/Lightsout Bed Bug Detectors. 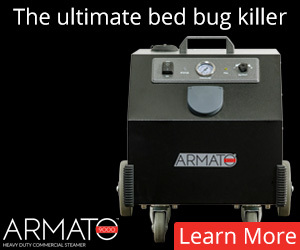 Active bed bug monitors actively attract bed bugs. Inexpensive active monitors use heat or CO2 to attract bed bugs. 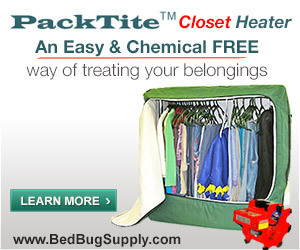 You can read about active bed bug monitors here. 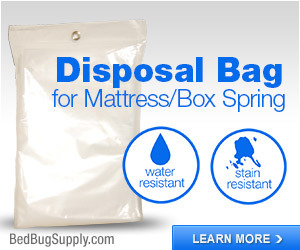 Caution: bed bug monitors (sometimes called “traps”) are not a method for eliminating bed bugs in your home. 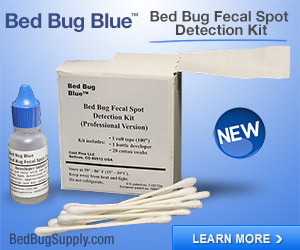 They are for monitoring to see if you have bed bugs present and where. 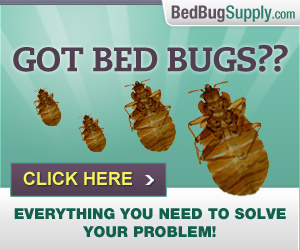 They may help you determine you have bed bugs, that they’re still present, or help reassure you they are gone. 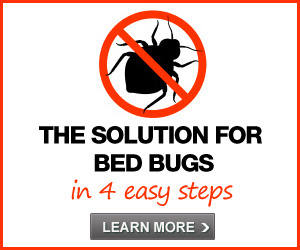 In most cases, if you have bed bugs, you will still need treatment to eliminate them. Climbup™ Interceptors and Blackout/Lightsout Bed Bug Detectors are pitfall/interceptor monitors which you place under your bed’s legs. (You may also be able to use them under a sofa or chair). The idea is that bugs should get stuck either crawling onto or off of the trap, and you will therefore not only be able to know if you have bed bugs, but which direction they’re coming from. If bed bugs are off the bed and trying to climb on, they may be stopped from doing so, and then you will have evidence they are present. If bed bugs are on the bed and trying to alight for new territories, they may also be stopped from doing so, and then you will also have evidence they are present. 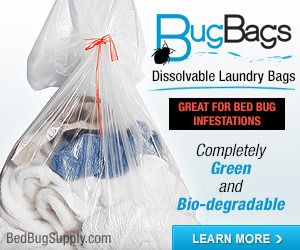 If the bed has been thoroughly debugged (meaning you are sure there are no bed bugs or eggs in or on the mattress or frame) and you’re not later bringing bed bugs into it on your body, clothing or other items (which takes some thought and effort), then this method may help you avoid bed bug bites while your home is still being treated. At least one expert (David Cain) has expressed the concern that interceptors may cause bed bugs to spread to new areas of the home. Interceptors can break; use with caution and if you are placing them on a carpeted surface, put a hard flat object like a piece of plywood between the carpet and the interceptor to prevent this. Some brands (e.g. ClimbUp Insect Interceptors) must be maintained by reapplying talc every few weeks per the manufacturers’ instructions. The BlackOut/LightsOut brands helpfully remove this requirement. RESULTS. The inspections revealed that all 13 apartments were infested with bed bugs. The average bug count was 6.7 per apartment. Among the residents interviewed, only four of 10 said they noticed bed bug bites. After visual inspection and hand removal of bed bugs, we installed Climbup interceptors under furniture legs. After seven days, an average of 8.8 bed bugs per apartment was captured using the interceptors. CONCLUSIONS: Bed bug interceptors are more effective than visual inspections for determining the presence/absence of bed bugs and estimating bed bug numbers. 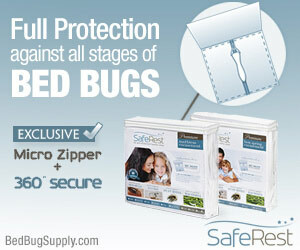 In addition, they can effectively detect low levels of bed bug infestation. Because interceptors remove bed bugs, they also provide immediate relief to residents from bites and reduce the need for insecticide applications as they catch the bugs. The regular ClimbUps (as we call them around here) are round and fit posts/feet 3.75” diameter or less. In February, 2011, ClimbUp Insect Interceptors were made available in a larger, rectangular XL size, which fits posts/feet up to 6.5” x 4.25”. These would be suitable for many beds with larger feet, and lots of chairs or sofas. One issue is that interceptor monitors have been known to crack when placed on carpeting. Some have suggested putting something flat like a piece of plywood under interceptor traps if you have carpeting. 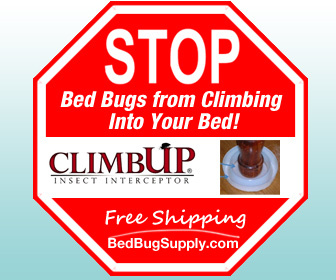 Climbup™ Interceptors (all sizes and shapes) are now available from Bed Bug Supply (with free shipping) and other online retailers, as well as from Residex and Oldham Chemical. In New York City, you can get them from Standard Pest in Astoria. The newest player in the interceptor market is BlackOut Bed Bug Detectors also marketed as LightsOut Bed Bug Detectors, an interceptor developed by Jeff White of Bed Bug Central. I’ve had positive feedback on these from at least one expert on the forums. The manufacturer claims they’re sturdy, the dark color is more attractive to bed bugs, and they don’t require powder to be added. A study detailed in the PCT Online article “Mapping Bed Bug Mobility” used BlackOut monitors alongside ClimbUps and found no difference in effectiveness. If you want an interceptor monitor, but can’t purchase any, the University of Florida offers instructions on constructing your own. See this post for all the details. David Cain of bed-bugs.co.uk (who is well known to our Bedbugger Forum users) has developed a passive bed bug monitor which is also popular with our readers. Like commercial interceptor monitors, this is something which is affordable to almost everyone and could be potentially used in every bed as an ongoing monitoring tool. This monitor has begun to be marketed by BBAlert in Europe and Packtite in the US, and looks a bit different now. 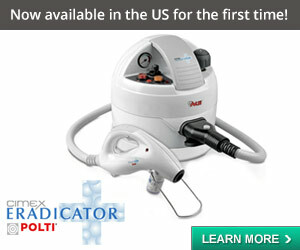 The March and April 2009 issue of Pest has an article on David’s passive monitor. Click here to download a PDF. If you purchase a passive from Bed Bug Supply, the Packtite Passive will be labeled as a “BBAlert Passive” — the brand it’s still sold under in Europe and by some vendors in the US. The monitor is roughly the size of a packet of cigarettes. Made of moulded plastic it consists of a seven layer sandwich. On top is a label to record the monitoring routine. This is stuck to the top layer of the plastic monitor, within which is the filler consisting of corrugated pulp-based tunnels – ideal hideaways for bedbugs. The monitors are designed to be anchored to a particular spot on various types of beds. Ease of use: for some people, it may be easier to check the single monitor per bed, than to check four monitors placed on the floor, per bed. While David Cain’s company has tested and uses the device extensively, there are no independent studies of the product at this time. It’s important to note that getting independent testing done can be prohibitively expensive, meaning that large companies are at an advantage in being able to fund this. If conditions preclude installing monitors directly under bed and sofa legs, try placing them adjacent. Also consider placements along baseboards (especially behind sleeping and seating areas), and in corners of rooms. Installation of pitfall devices along hallways and room perimeters (Wang et al. 2010, Wang and Cooper 2012) also may reveal a continued presence of bed bugs in vacant dwellings where removal of furnishings has made visual inspection less reliable. Be sure to use monitors as directed, which includes regular inspections of the monitor(s), cleaning pitfall monitors periodically, and in the case of ClimbUps, re-dusting the inside of the interceptor lightly with talc every three weeks or so to keep it slippery. When active monitors were first developed, they cost in the $400-1000 price range (the Nightwatch and the CDC 3000). Most bedbuggers did not have access to these unless a pest pro was renting one to them, or otherwise providing it. 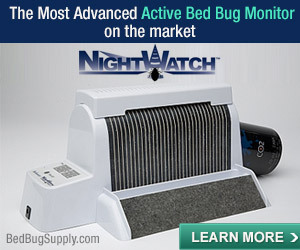 Since this post was originally written, more simply designed active bed bug monitors are available and these are more reasonably priced (you can get started with one of the available products for about $50, including some consumable refills, though the cost of running them varies). Coupling an active monitor with your passive monitor(s) is going to give more chance of detecting if bed bugs are present in the space. “Detecting Bed Bugs Using Bed Bug Monitors” (PDF here), written by Dr. Changlu Wang, gives directions for building the active dry ice monitor Wang’s office developed (and also includes tips on using ClimbUp Interceptors). May be low-cost (see below). You need to know how to handle dry ice safely, and that everyone in your home (including children, pets, and so on) will be able to be around it safely. Likely to work better in an unoccupied room, where it is not competing with a live human. Many users who have looked into the dry ice monitor have chosen to use the Bed Bug Beacon CO2 Monitor instead, since it is effective and easier and cheaper to run unless you have easy, cheap or free, and continual access to dry ice. (You can purchase Bed Bug Beacon at Bed Bug Supply.) An active monitor may be especially helpful if you need to monitor a space with no humans present. Lower cost than other commercial active monitors (e.g. Nightwatch). Especially helpful in monitoring unoccupied area. While experts assure us it can detect bed bugs even in occupied spaces, this may take time if not many bed bugs are present. More on the Bed Bug Beacon in this FAQ. 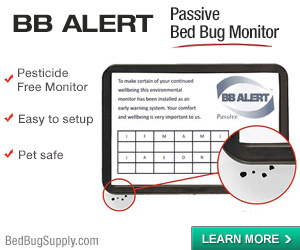 None of these monitors — not even a much more costly active monitor — is going to trap all of your bed bugs or remove them from your home; they are just monitoring devices. But monitoring devices are very valuable where bed bugs are concerned, and both of these tools allow pest professionals and clients can work together to monitor whether bed bugs are present (or still present) in a space. We are most excited to see these tools being developed. Bed bugs are a most elusive enemy, and we need all the help we can get in determining whether they are present. B. and might not be as slippery ………. Actually I’m in the midst of testing them on some other pests as well ,not related to our little bloodsuckers but rather stored product pests in specific environments. These lovely testaments to “plastic” (one word Ben) are available through Residex and standardpest.com again not an answer but a tool. In regard to Davids trap sounds like a great idea, I have always been a fan of monitors and insects love cardboard. 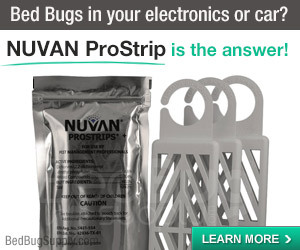 Are David Cain’s passive bed bug monitors available for purchase? If so, where? Thanks. I am looking into this, bugged58. Stay tuned. This article implies that you can kill bed bugs by puting them in the freezer for a few days. That is very misleading, and generally incorrect – household freezers often aren’t cold enough, and certianly not cold enough to kill them in a few days – it’s been argued that it takes two weeks in a standard household freezer to kill them and their eggs, and opening the door anytime throughout could jepordize the kill. We’re well aware of how difficult it is to kill bed bugs in a freezer. I’m having trouble seeing where in the article above you are seeing contradictory information on that topic. Please copy and paste. Or if you’re referring to something linked from above, please tell me which article. Thanks! Previous post: Bed bugs do bite!